It’s not easy juggling and job and blogging at the same time so I decided to write a blog post all about it. I spoke about the tips I have discovered over the past eighteen months and what I do in order to ensure I regularly post and communicate with my readers. It’s definitely a challenge and varies week on week depending on what else I need to fit in my personal life or events I am attending but there are some set things I follow to make sure I get everything done. An exciting blog post I shared this month was about my all time favourite lip products. There were 10 in total and covered a range of finishes, colours and brands. I really enjoyed taking the pictures for this post as well as writing it. A few months ago I started my ‘Things I Wish I’d Known About Blogging’ series and this month saw post number four go live. This features a few things I have learnt since I started blogging but would have been really useful to know when I had first started out. Makeup Revolution is a really brilliant online affordable brand which I discovered through blogging. They have a whole host of products on offer and I have been very impressed with all of the ones I have tried. Check out my haul in this post. During the end of June and July I found I was suffering from dry skin so I was on the look out for a new product to help with this. The one I turned to was the Origins Drink Up Intensive Face Mask that you use overnight and I was blown away by the results. 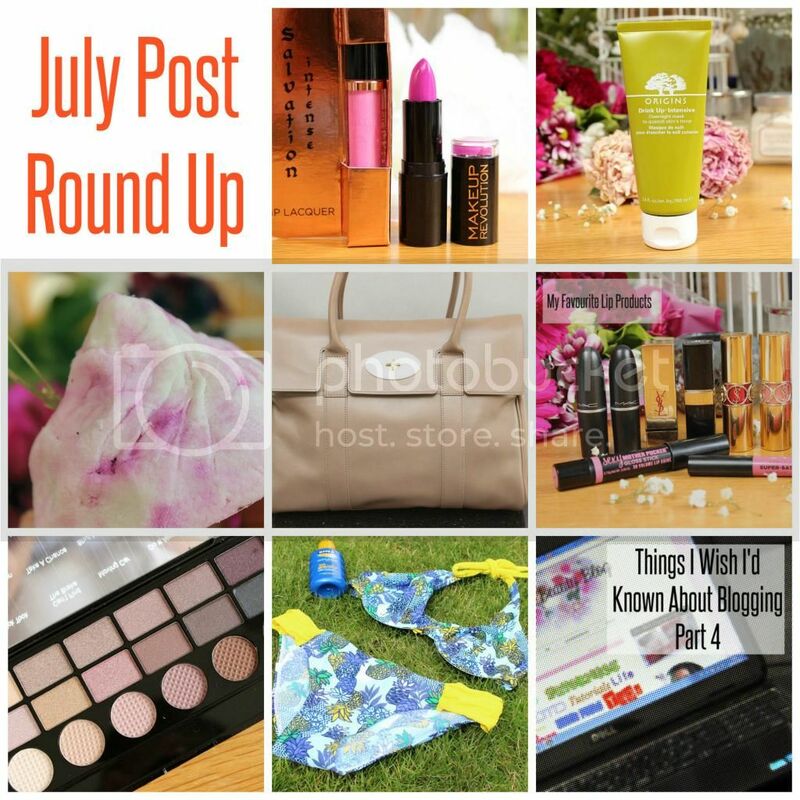 This month I wrote a review all about it so I could share it with you. I splashed out on a luxurious purchase this month, my very first Mulberry bag! I absolutely adore it and have shared all the details with you in this blog post. A monthly round up wouldn’t be complete if if didn’t feature a Lush product and July saw one I was given to me by my best friend. The French Kiss Bubble Bar is perfect for relaxing because it smells of lavender, it looks gorgeous and can be used multiple times.. what more could you ask for? Last but not least, there was a fashion related blog post featuring a gorgeous bikini from Lauren Pearl. I’m a little addicted to bikini’s so was really pleased to discover this brand and this particular one has a really unusual tropical print that I love. 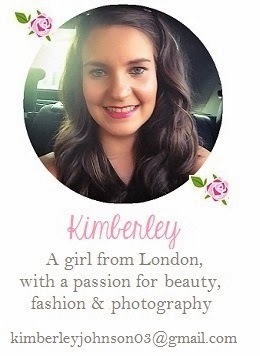 What was your favourite post on Kimberley’s Beauty Blog this month? Welcome to the Mulberry club chick 😉 you'll never leave now & you'll be forever eyeing up the Mulberry's!